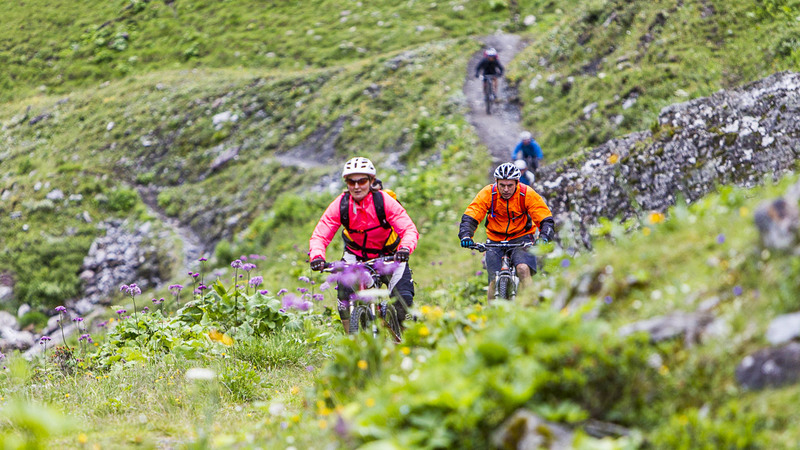 The Mountain Bike Safari is a complete week of 'alpine adventure' on two wheels. The perfect mix of epic mountain biking trails, breathtaking scenery and authentic alpine exploration. 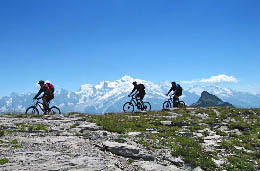 After the days riding you will return to a pretty alpine chalet " Les Airelles" in the mountain village of Les Carroz in the Grand Massif and taste the delights of savoyard cuisine, relax on a sunny balcony with a beer surrounded by mountains and countryside with the relaxing sound of a mountain stream to lull you to sleep, adding to the idyllic village location. 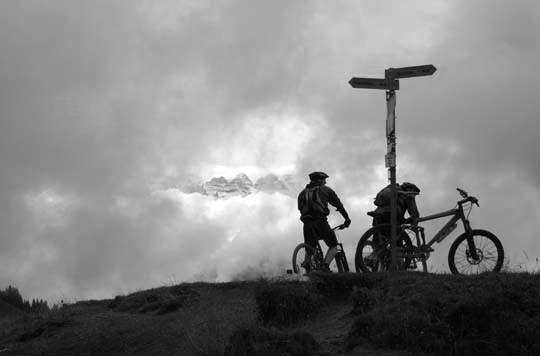 You will experience endless rides from high altitude cols to the valley floor... And ride the wonders to be had in Morzine, Les Gets, Portes du Soleil, Grand Massif, the Chamonix valley, Megeve and La Clusaz ! the fight ticket, airfare the pick up and drop off at Geneva airport on Saturday arrival and departure day, personal pendings (beverages, energetic drinks and food etc...) bicycle renting, the expenses related to the repair and maintenance of the bicycle, the cancellation/help insurances and repatriation costs and in a broader sense what is not included/understood in the heading "the price includes/understands" Alcohol and extra drinks All that is not included/understood in the heading 'Included'. DAY 1 of arrival (Saturday) : 'Meet and great' by ourselves at Geneva airport and transfer to Les Carroz. 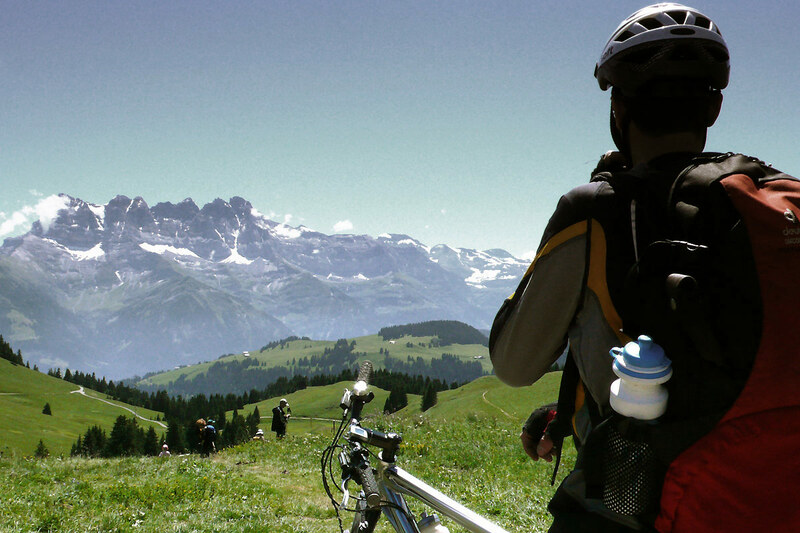 Or meet in Les Carroz. Deposit baggage at Chalet Hotel "les Airelles" our base camp in Les Carroz. Unpacking and preparation of bikes. 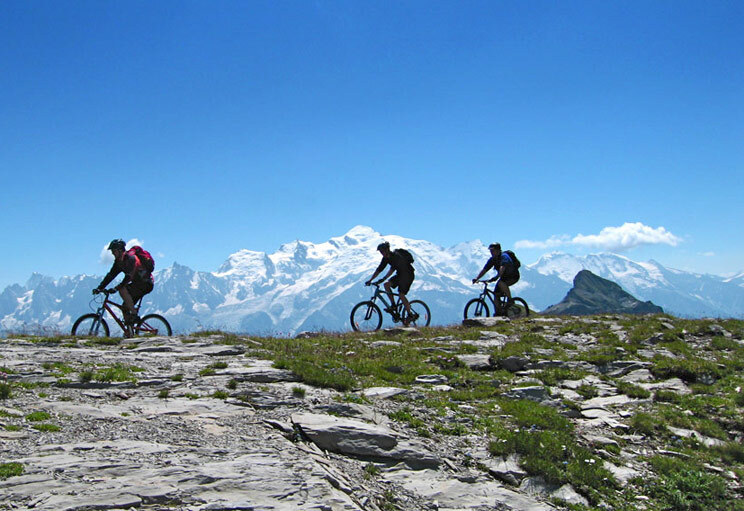 DAY 2 (Sunday) : Starting from Les Carroz, in the heart of the Grand Massif, day one will offer you a fantastic ride between the valleys of the Giffre and Arve rivers, between green mountain pastures and grey rock slabs. 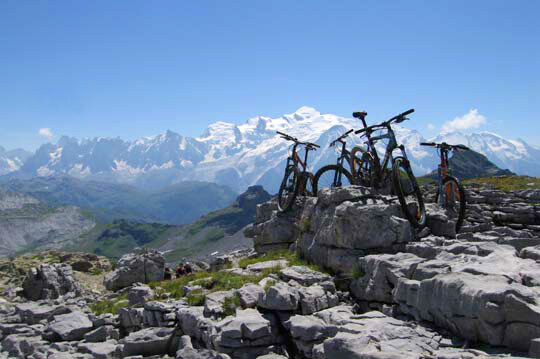 We will reach the top of Flaine ski resort at 2500m, with the use of a gondala lift. From the top of Flaine the views are spectacular of Mont Blanc and the surrounding mountains, where on a clear day it is possible to see 200km south over the Alps. The downhill descent of 1500m and 12km ride back to the chalet is just the perfect way to end the first day... Followed by a beer of course! 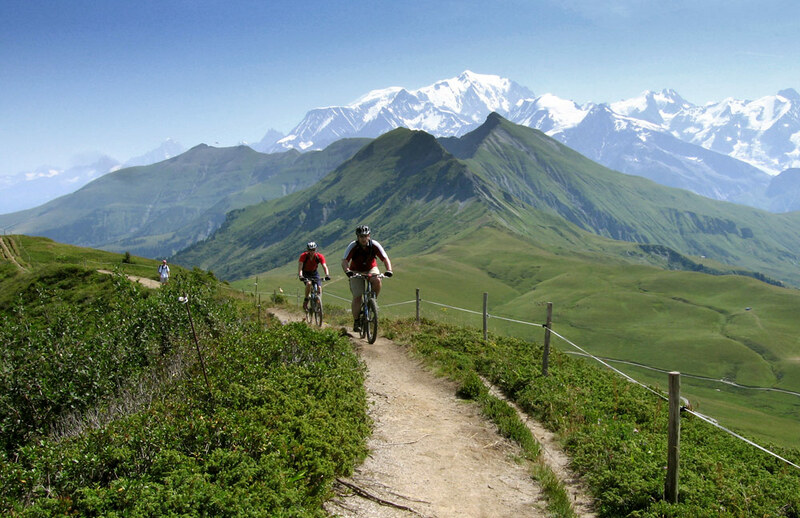 DAY 3 (Monday) : And we find ourselves in the Portes du Soleil village of Les Gets, world reknown resort having hosted the world mountain bike championships on several occasions. 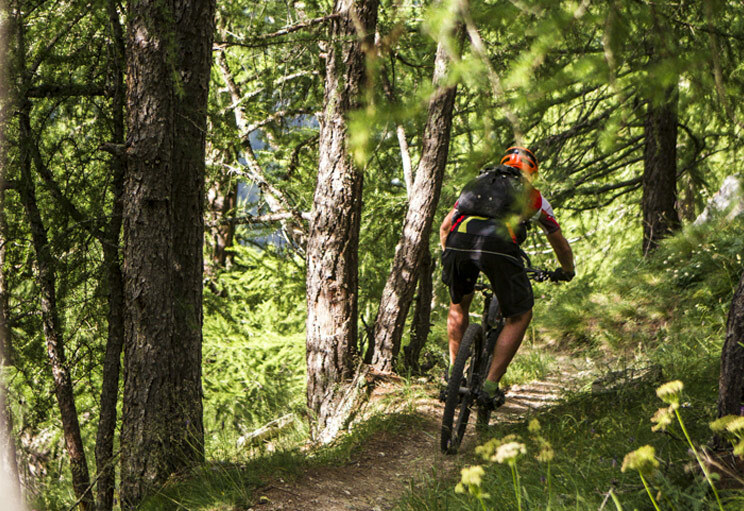 Les Gets is known for its bikeparks and downhill slopes, but we are going to explore its abundance of cruisy mountain trails, large two paths and easy singletracks. 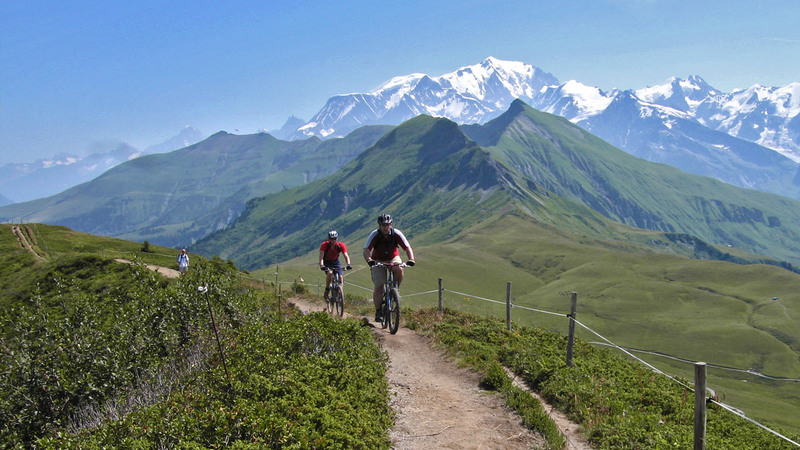 DAY 5 (Wednesday) : Departing from the exclusive French ski resort village of Megeve we will ride the area known as the 'Green Diamond', nestled between the spectacular scenery of the Mont Blanc and Aravis mountain ranges. Little known and uncrowed, this spot is a real jewel ! 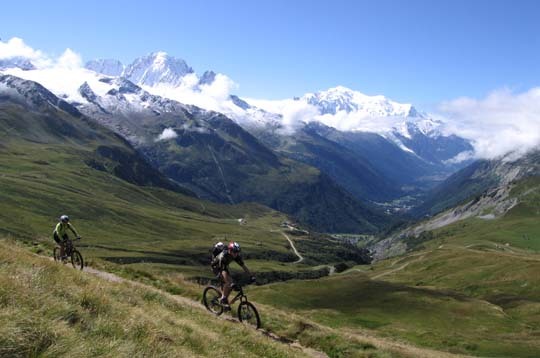 Imagine 90km of trails and 2800m of uneven negative just waiting for you to ride it..
DAY 6 (Thursday) : Riding in the legendary area of Chamonix under the 'Lord of the Alps', the Mont Blanc, is a dream destination for many mountain bikers. 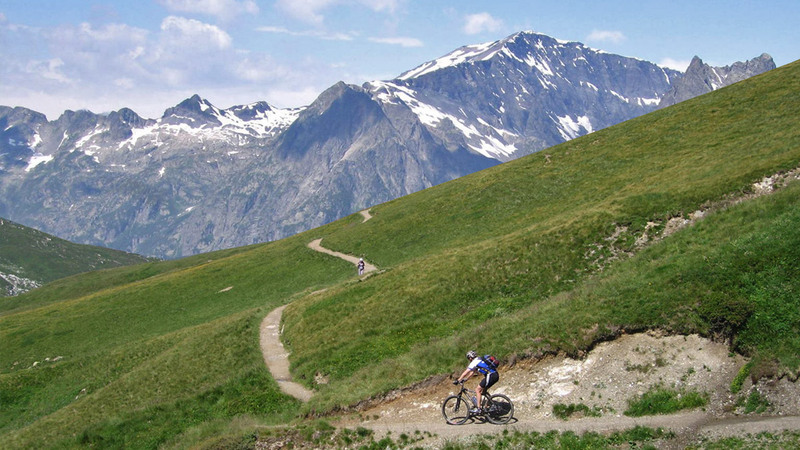 We will realize this dream by crossing the valley with the aid of the lift at Le Tour via Flegere, providing our descent into the valley of Vallorcine on a beautiful singletrack which slaloms under the larch trees. 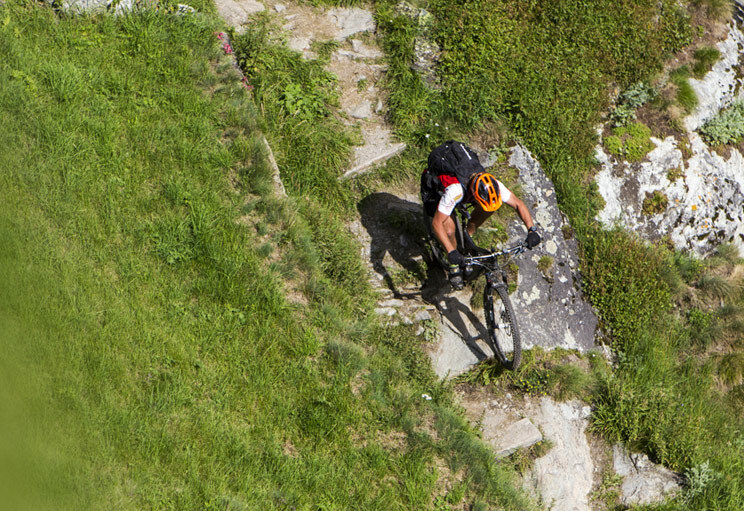 With this exceptional landscape and the varying trails, it will satisfy the hungriest of mountain bike riders! 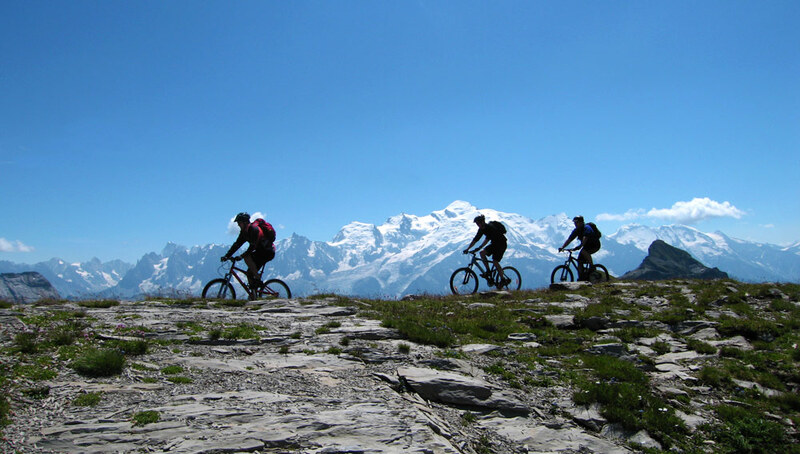 Some time after the days ride can be spent visiting Chamonix to absorb the historic alpine mountain ambiance and gaze up at the Mont Blanc as you meander through the streets or sit and drink a well deserved beer, you can't help but be in awe. DAY 7 (Friday) : La Clusaz... presents us with all her splendour ! 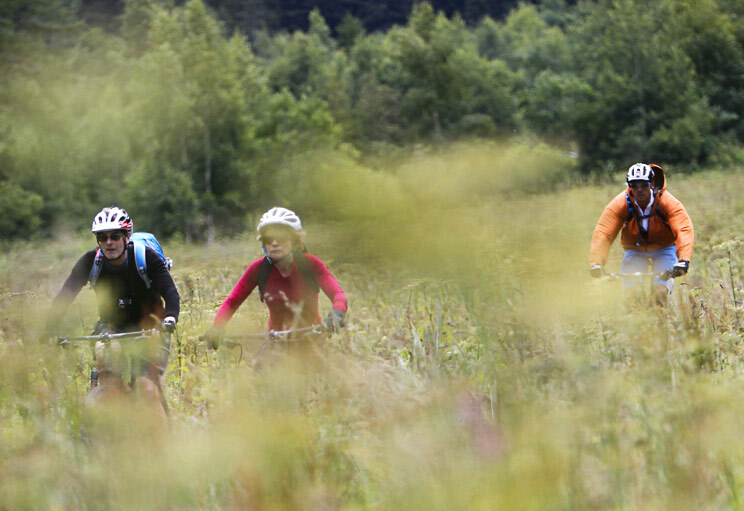 70% of technical trails, crazy downhills, seductive singletracks crossing herds of cows with their jingling bells, and slaloming trails through the woods. 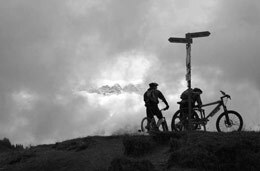 Return to Les Carroz, dismantle and pack bikes ready for departure the following day. Yes I think a well earned cold beer or two (or more...) is a definite ! Day 8 : departure day (Saturday) : Transfer to Geneva airport. 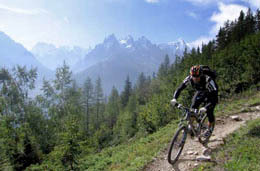 7 nights accommodation in Chalet hotel " Les Airelles " in "les Carroz" alpine resort. Each accomodations has a secure bike storage, bike-washing facilities, a bar with fresh beers ( there are important things in life! Dinners are 3-courses and each hotels can cater for specific dietary requirements ( veggy, vegan, gluten intolerant etc...), please let us in advance if you have specific diet.